When you need gifts and flowers delivered on behalf of your business, you need a name you can Trust. Best Blooms is a TOPSHOP Award-Winning Florists in Auckland. We can deliver stylish floral arrangements, Corporate Christmas Gift Baskets, thank you bouquets to clients or staff, and sympathy flowers on behalf of your company. Please order by 10am for same-day office delivery. As experienced Professional Florists - Our service is 100% Guaranteed. We can make bespoke Christmas Hampers and Gift Baskets for you in your company colours, and include your branding and Logo to present your corporate Christmas gifting in style. Talk to us about your Corporate Christmas Gift Basket ideas, and see what suggestions we have, to create a perfect design to represent your company, impress your clients, staff and colleagues. 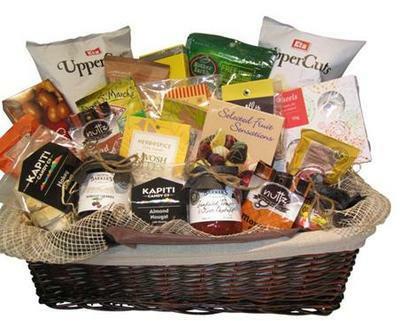 Please talk to us about ordering Bulk Christmas Gift Baskets to arrange your bulk discount. Phone and speak with our florists on 09 838 9058.